For April I have decided to go for an easy month because last months TBR was fantasy heavy and had quite a few bulky books to read. So this month I have decided to through in some contemporary reads, as well as a sci fi book as well. All the books are relatively short and shouldn’t take me too long to get through, and maybe it will give me chance to read some other books as well. And Ty’s squad isn’t even his biggest problem – that’d be Aurora Jie-Lin O’Malley, the girl he’s just rescued from interdimensional space. Trapped in cryo-sleep for two centuries, Auri is a girl out of time and out of her depth. But she could be the catalyst that starts a war millions of years in the making, and Tyler’s squad of losers, discipline-cases and misfits might just be the last hope for the entire galaxy. 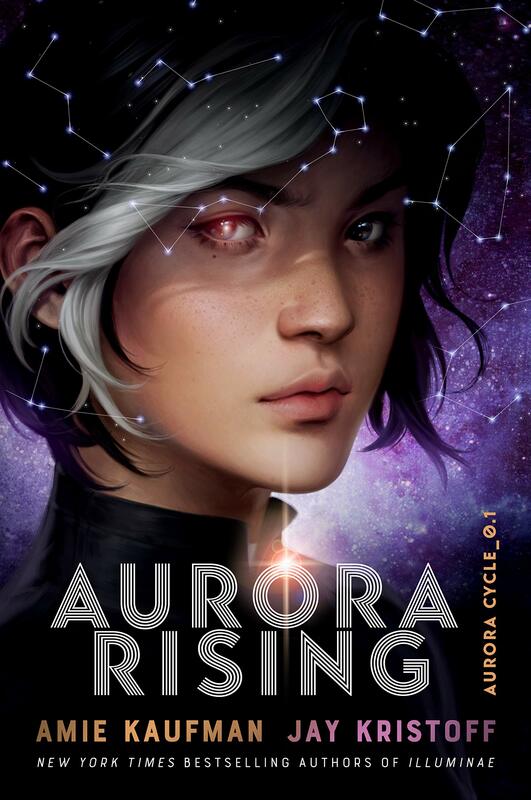 I am very excited to start reading Aurora Rising because the hype for the book is off the charts! Everyone has been trying to buy the limited editions and websites keep crashing because of the amount of people trying to order the book. So my expectations are very high going into this, but if the Illuminae series is anything to go by then I won’t be left disappointed. The ancient land of Éirinn is mired in war. Ciara, princess of Mide, has never known a time when Éirinn’s kingdoms were not battling for power, or Northmen were not plundering their shores. The people of Mide have always been safe because of Ciara’s unearthly ability to control her enemies’ minds and actions. But lately a mysterious crow has been appearing to Ciara, whispering warnings of an even darker threat. Although her clansmen dismiss her visions as pagan nonsense, Ciara fears this coming evil will destroy not just Éirinn but the entire world. Then the crow leads Ciara to Leif, a young Northman leader. Leif should be Ciara’s enemy, but when Ciara discovers that he, too, shares her prophetic visions, she knows he’s something more. Leif is mounting an impressive army, and with Ciara’s strength in battle, the two might have a chance to save their world. With evil rising around them, they’ll do what it takes to defend the land they love…even if it means making the greatest sacrifice of all. 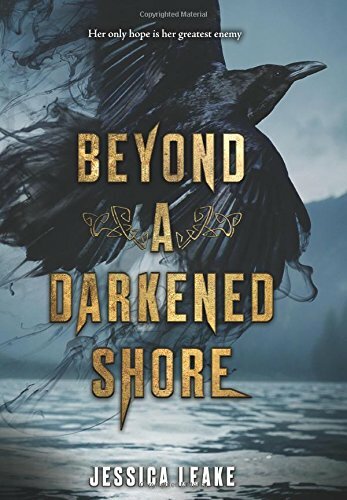 I have had Beyond A Darkened Shore sitting on my bookshelf for over a year and now is the perfect time to finally pick it up and read it because I have Through The White Wood, which is another story set in the same world, to read and review this month. I have not heard too much about this book but by looking at some of the reviews, they have given this book some really positive praise. When Katya loses control of her power to freeze, her villagers banish her to the palace of the terrifying Prince Sasha in Kiev. Expecting punishment, she is surprised to find instead that Sasha is just like her—with the ability to summon fire. Sasha offers Katya friendship and the chance to embrace her power rather than fear it. But outside the walls of Kiev, Sasha’s enemies are organizing an army of people bent on taking over the entire world. Together, Katya’s and Sasha’s powers are a fearsome weapon. But as their enemies draw nearer, will fire and frost be enough to save the world? Or will Katya and Sasha lose everything they hold dear? 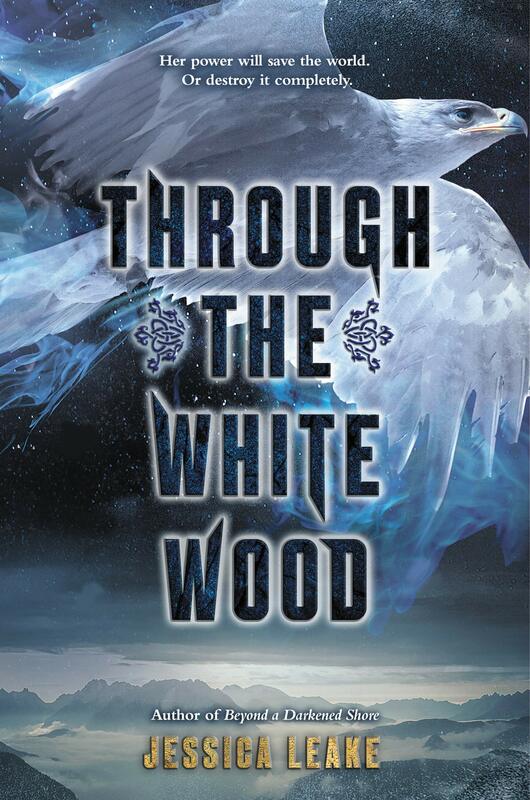 Through The White Wood is a standalone fantasy read but is set in the same world as Beyond A Darkened Shore. I have yet to read the first book but this book does intrigue me a little because the synopsis does make it sound like its my perfect sort of read. I really like the idea of this being a standalone book because it would hopefully mean that there is loads of character development and action all crammed into this one book. 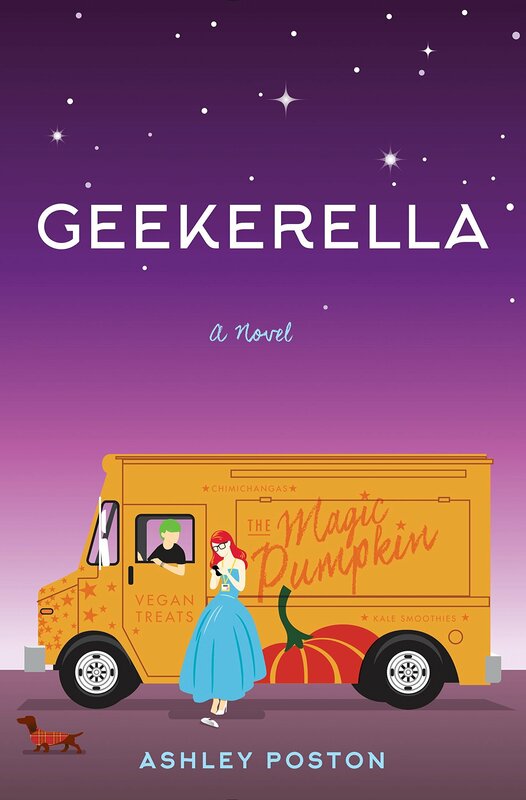 I have seen Geekerella all over the book community and I have seen nothing but praise about this book so when I got offered the chance to review the spin off to this book I decided it was time to buy a copy and finally read it. I love a good contemporary story and this looks like its going to be something entirely original and something that I will really enjoy reading about because it has a sci-fi theme as well. Movie star Jessica Stone can’t go up onstage at another con and pretend to love Starfield anymore except that she is contractually obligated. She never dreamed she would be playing Princess Amara for life, but people love Princess Amara, and for better or worse, Princess Amara has Jessica Stones face. But. it turns out, so does someone else. Imogen Weatherby is just another Starfield fan hitting up ExcelsiCon except that she happens to look an awful lot like Jessica Stone (and no, you re not the first one to point it out). When Jess spots Imogen, she has a brilliant idea: swap places. Jessica can live her life out of the spotlight while Imogen pretends to be her on the rest of the con circuit, and Imogen can ditch her cra*py barista job and finally get to see something beyond her hometown. But Jess doesn t anticipate actually liking Imogen s life or Imogen s gorgeous best friend, Hana, who might just be the person Jess needs to forget about her ex. And Imogen loves being Jess Stone and might even love this super talented artist, Tamaki, who she keeps bumping into. Except Tamaki thinks she s Jessica Stone. When an obsessive fan finds out the truth and threatens to expose Jess for the fake geek girl she is, it will take both Jess and Imogen to stand up for the truth: That there is no such thing as a fake geek girl. That if you are a fan, then you are accepted. And that even if you aren t a fan, you are worthy. That you are not invisible. That what you love matters. From the acclaimed author of Geekerella, this geeky spin on The Prince and the Pauper is a perfect story for geek girls of every fandom. 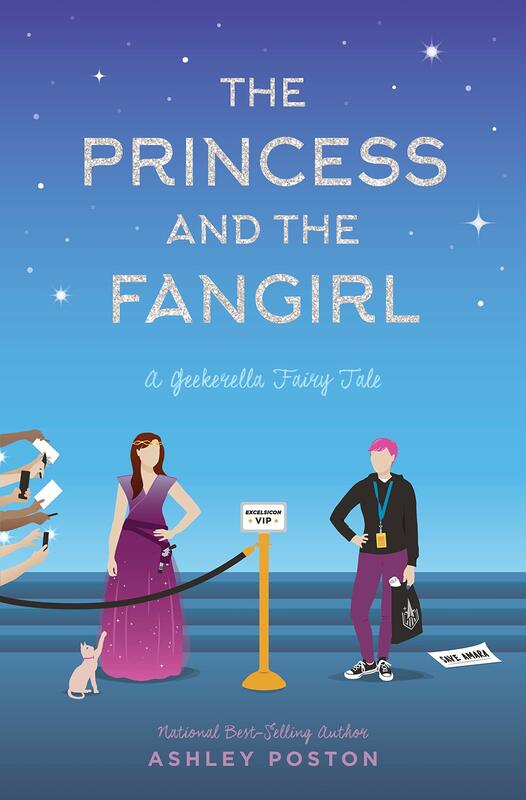 I don’t know too much about this book apart from what’s in the synopsis but I jumped at the chance to read and review The Princess and the Fangirl because of all the praise Geekerella has gotten over the past year I thought it would make me finally get round to reading Geekerella. This again sounds like something I would enjoy reading about and it sounds really fun! Have you read any of the books on my TBR? What do you plan on reading this month?